Nothing puts you in the holiday spirit like twinkling lights and seasonal decor. That’s why this year we’ve scoped out the most picturesque holiday spots in the heart of our city. Whether they’re for that perfect Instagram picture, a cute photo stop, or just to help put yourself in the holiday mood, here are 5 of the best holiday displays in downtown Victoria. The 27th Annual Festival of Trees at the Bay Centre has begun, and it is absolutely gorgeous. The shopping centre has transformed into a glowing forest of hand-decorated trees and the centre courtyard is perfect for a holiday pic. You can also share in the spirit by voting for your favourite tree (like ours ), with all proceeds supporting the most urgent health care needs of kids in BC. You’ve probably never seen the Royal BC Museum like this before. 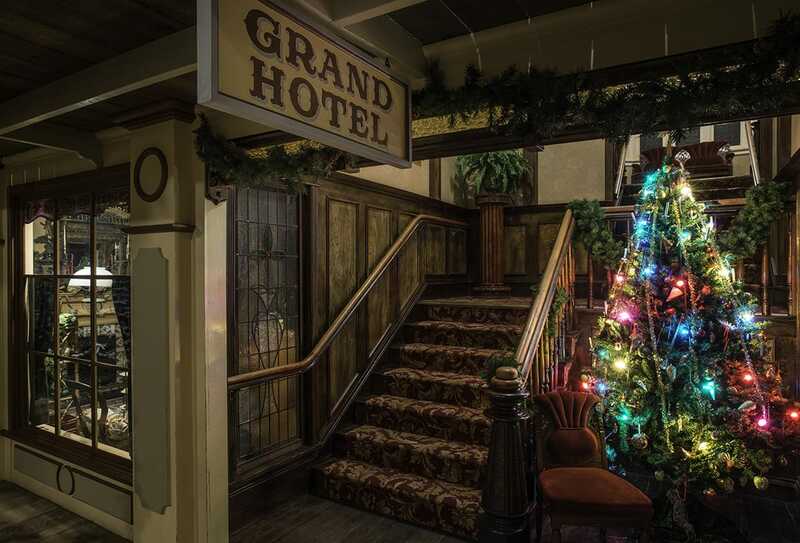 Take in the sights and sounds of a Christmas long ago in the museum’s exceptionally detailed Old Town exhibit. Visit the wood-cobbled streets lined with festive garlands and see the shops decked in seasonal finery. The combination of art and dessert is always jaw-dropping and definitely Instagram-worthy. This fun charitable event showcases a variety of gingerbread houses made by professional and amateur bakers. Victoria’s Public Market takes the holidays seriously, and once you take one step inside, you can see why. The displays and decorations in the main thoroughfare look incredible, and many of the vendors have decorations up themselves. Every inch of the market is Instagram gold, and there’s plenty of good eats to find inside. A picture of you and a friend sitting around a warm fire and roasting marshmallows overlooking the inner harbour is guaranteed to inspire and delight your beloved followers. You can sip on warm holiday drinks and snack on classic holiday bites down at the Empress, perfect for a date, a night out with friends, or a photo op.